Morris Plains, NJ ~ The Talk of The Town: Do You Hear the Sirens? You Will on Sunday ~ Santa is Taking a Tour Of Morris Plains! Do You Hear the Sirens? You Will on Sunday ~ Santa is Taking a Tour Of Morris Plains! Who doesn't love a ride on a firetruck? 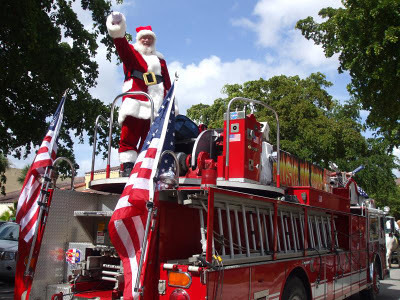 The Morris Plains Fire Department is lending a hand and bringing Santa around town. So, when you hear the sirens, come outside and meet Santa!